About - What Is Dialogue? The late quantum physicist, David Bohm, understood Dialogue as something qualitatively different from conversation, discussion and debate – so much so that he referred to it using a capital“D”. But what is Dialogue? And how does it differ from other forms of talking? When you are in conversation, often times you will discover that you have a different sentiment, observation, opinion or idea and because of that, the exchange becomes heated. These types of conversations conclude with either a frustrating stalemate or the competitive sense that there are winners and losers. 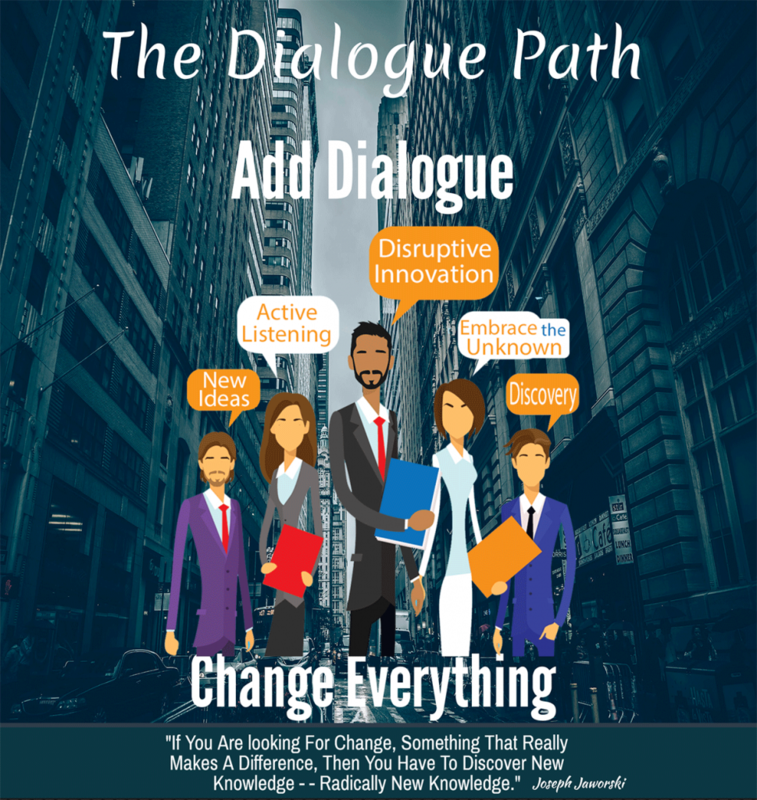 Dialogue allows for people with diverse perspectives to discuss topics that are important to them where all parties feel safe and respected no matter how great their differences or point of view. It is possible for people who strongly disagree with one another’s views to still have an opportunity to learn from one another without feeling forced to either protect or change their opinions. As human beings, we are prone to psychological attachment. We experience our assumptions, beliefs, opinions and ideas as truths. When someone disagrees or challenges these “truths” with which we identify, we feel attacked and emotions become engaged. We feel we must defend our views because we feel them as though they are an inseparable part of us and a challenge to them is an implied threat to our wellbeing. This is why so many conversations end productively and discussions aimed at healing rifts so often deepen them. But it doesn’t have to be this way. In everyday life, true Dialogue is uncommon, but not difficult to learn and can be mastered through practice. Dialogue is a practical tool that is accessible to everyone. It’s true that Dialogue required a rigorous discipline on the participants. Without this discipline, participants still derive the benefits of ordinary discussion, but they lose the benefits of successful Dialogue. The ancient definition of dialogue (dia•logos) is “flow of meaning”, and this is how David Bohm thought about Dialogue. In essence, Dialogue is a discovery process linked to Bohm’s theories on Fragmentation & Wholeness and the deepest orders of the universe. It respectfully explores what each person believes; how broader worldviews shape opinions; and the attachments individuals have to those opinions. Dialogue brings people together to learn about individual perceptions and their sources. It expands understanding by being given the opportunity to see through the lens of other people’s opinions. In this process, our relationships with others are explored, allowing us to delve more deeply into our own nature. Through Dialogue, people are able to come together to share and better understand how each person perceives the world and the meaning those perceptions hold. Expanding from David Bohm, Generative Dialogue is a way of talking and interacting that breaks ground for new action, revealing new knowledge which cannot be attained individually. The fragmentation that normally characterizes group communication begins to break down, and a coherent wholeness begins to build.